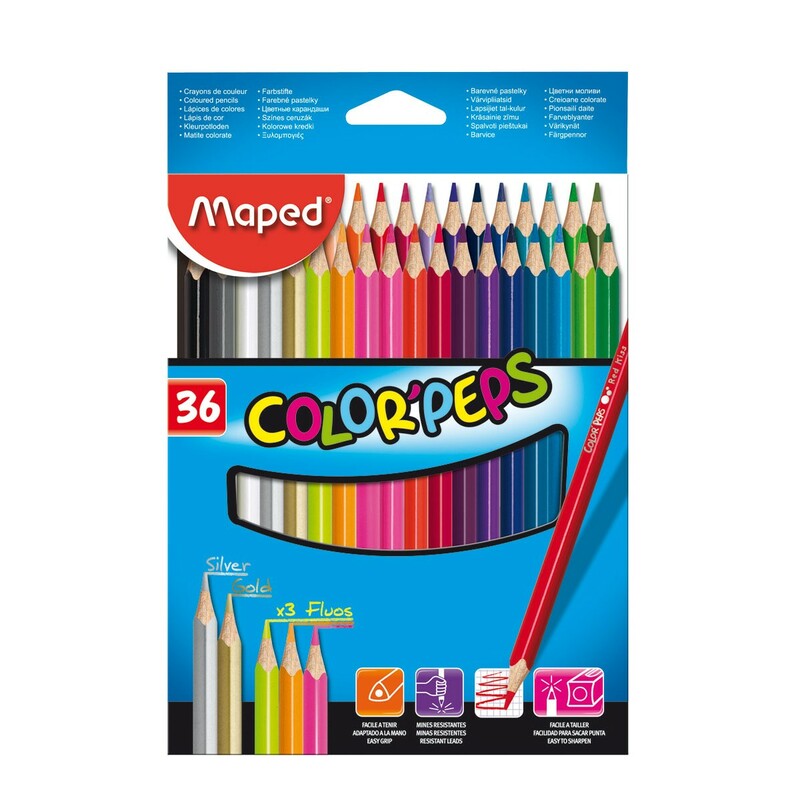 Box of 36 coloured pencils with 3 fluos, 1 gold and 1 silver. Triangular shape for better grip, easier and more confortable use. Easy to sharpen. Bright colours.